Farragher Logistics provides transport for any product that requires refrigeration for both local and interstate. With our top of the line modern equipment consisting of Scania and Freightliners, as well as our experienced drivers we will not only get your delivery there on time but safely. 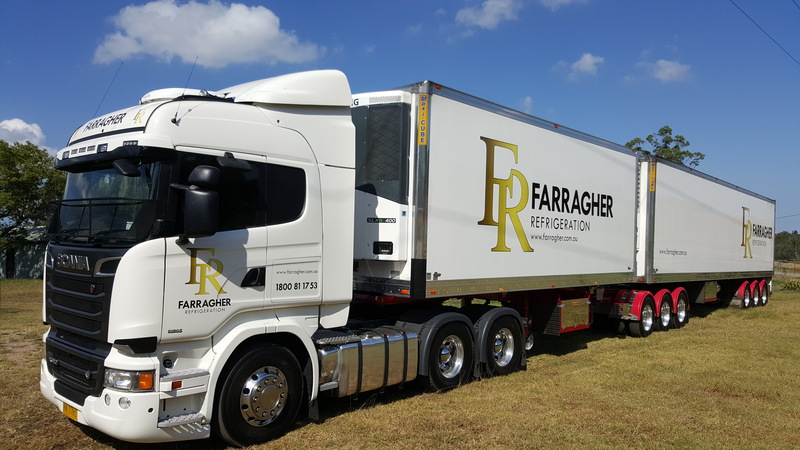 We operate on the East Coast of Australia, however if you require delivery out of this scope, please contact the office on 02 4988 6400 or email bookings@farragher.com.au to discuss if we can accommodate you and to obtain a quote. Some freight requires special handling and Farraghers provides the solution and experience in order to deliver your goods on time and safely. We understand that not every delivery is routine and want our clients to have total peace of mind, knowing that we are able to manage their delivery no matter how valuable or fragile. Since the company’s beginning in 1933 Farragher has developed unique specialised freight systems to cover the commercial needs of a variety of businesses today which include retail outlets, supermarkets, and office furniture and has become the leading Logistics provider of choice within the Shop Fitting & Fragile Freight market delivering fragile and general freight in full, on time and intact every time. Please contact the office on 02 4988 6400 or email bookings@farragher.com.au to obtain a quote today.